Not so very long ago, Woolwich was only a dot on google maps, to me. I scanned that map, trying to work out whether it would be a good place to live. Could I get to Canary Wharf easily? Yes. Central London? Yes. Shops nearby? Sorted. And look at THIS, I said to my partner excitedly. An airport! I patted my passport lovingly while I surveyed the choice of destinations. The thought of being able to fly to Europe for a weekend filled me with glee. What giddy glamour, and just two stops on the DLR! Nearly four years down the track, I can safely say that I’ve made the most of LCY. So, I thought I would share my top 10 destinations. Flight prices vary wildly depending on the time of year but there are bargains to grab. My tip is to sign up to the CityJet newsletter for details on the latest specials. The Mercado de San Miguel is in my top-five happiest places on earth. It’s perfect. Walk around the market with a glass of cava and buy tasty treats from the stalls. Sip, munch, sip, meander, sip, scoff, repeat. And what’s not to love about a city that has Museums of Ham and where the art galleries stay open late and are free? Also, don’t miss La Venencia, where you can sip on sherry (it’s all the bar sells) while nibbling on slices of Iberico ham. We stayed at the stunning Hotel de las Letras, which has a literary theme and is close to most of Madrid’s gems. Perfect for a last-gasp warm weekend in early October, when all the lovely children are back where they belong: in school (and not anywhere near my sun lounge). We stayed at Puro Hotel, which attracts a trendy and slinky-hipped crowd and has its own beach club. The hotel’s mini-van will take you. Spend a couple of days by the pool overlooking the Bay of Palma and when it’s time to go home, take a cab straight from your sun lounge to the airport, which is nearby. We only had a night here, but fell in love with the place. The best fun ever is to bag an outdoor table at a café and watch the stylish denizens of Milan go about their business. Fabulous. We chose Café Vecchia Brera, on the Via Dell’Orso. We stayed at the achingly hipster Yard Milano and sipped on cocktails made by the sternly bearded mixologist at the hotel’s own bar, The Doping Club. We visited in December and happened upon the city’s Christmas market. To ward off the cold, we sipped on Drambuie-laced hot chocolate. Amsterdam is also a great place to get a steak. Just head for one of its many Argentinian steakhouses. The Anne Frank house is a must, as is a 24-hour ticket for the city’s canal boat service. Our completely bonkers cab driver took us from the airport to our hotel, the delightful Relais Orso, at break-neck speed while pointing out about 1000 years of history and (for reasons best know to him) all of Rome’s Sheratons. There are four, as if you cared. Rome is astounding, of course. Stand on the Ponte Umberto at dusk and take in the living painting that is the view of St Peter’s in the distance. Haggis! I’m surprised at how many English people have never been to Edinburgh. If this is you, consider yourself placed on the naughty step. It is one of the most beautiful cities I’ve ever visited, and also one of the friendliest. Do the Arthur’s Seat walk for the best views. Pop into Jenners department store and admire the 1895 building. And, haggis! Fly to Antwerp for fashion and elegant streetscapes. Visit Huis A. Boon, a glove shop that has been going since 1884. The interior is original and all the gloves are stored in little wooden drawers. We stayed at the Leopold Hotel, which was comfortable, quiet and a few minutes walk from the heart of the city. We found a bar called Old Trafford: a good footy pub full of memorabilia. And cigarette smoke, unfortunately. We didn’t go into the middle of Dublin itself this time. Instead, we took a cab from the airport to nearby Malahide, a lovely settlement overlooking the Irish Sea. And we spent quite a lot of time in what our mate describes as the best pub in the world. Gibney’s has many, many television screens showing a dizzying array of sports from GAA to golf and everything in between. Work off all those pints by walking from Malahide to Portmarnock or beyond and gaze out onto the Irish Sea. 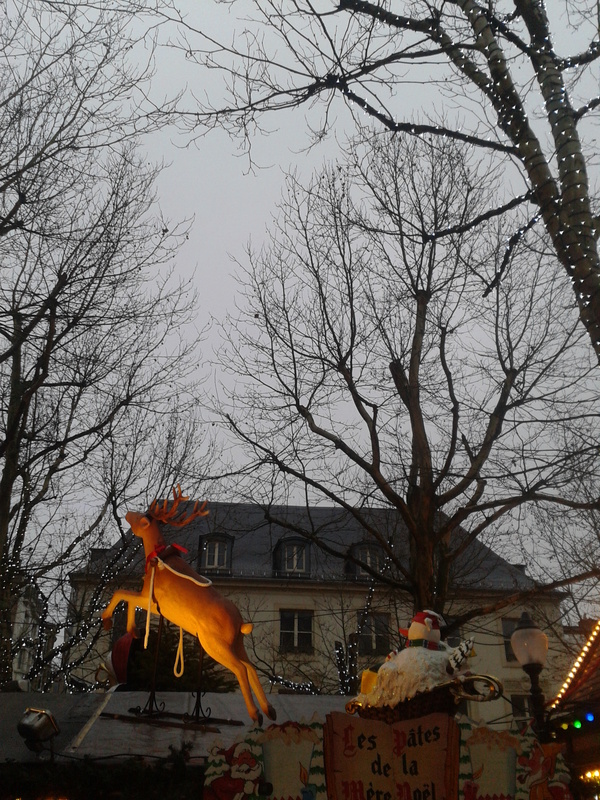 Luxembourg is not famous for its Christmas Market, but we went anyway and really enjoyed it. It’s a great alternative if you want to avoid the crowds of the larger markets. We munched on enormous sausages and had our novelty mugs filled with hot alcoholic beverages, including the best Irish coffee ever. We stayed at the very calm and quiet Albert Premier, an essay in soothing black and grey tones. The hotel’s cosy bar features comfy lounges and art books. To be honest, I’m not enamoured of Nice. But I bloody love Monaco. My tip is to fly to Nice and get on the bus and go straight to Monte Carlo. Go for the F1 Grand Prix if that’s on your bucket list. DO IT. Book an apartment in Beausoleil (technically in France), for views of Monaco without the eye-watering price-tag. Also consider nearby Roquebrune, which I have written about before. Please share some of your favourite destinations and travel tips! Living in the East End I fly from LCY whenever possible as it’s so much more civilised than any of the other London airports. Two destinations I’d add to your list are Venice and Granada.